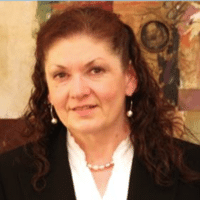 Emilia C. Lonardo, Ph.D. is a Principal Consultant with Lonardo StatReg Associates, LLC, advising and lecturing on ingredient safety and FDA regulatory requirements. Dr. Lonardo brings over 30 years of professional experience. From 2012 to 2015, Dr. Lonardo served as Vice President of Consumer Product Safety and Science Policy at the Grocery Manufacturers Association (GMA) in Washington, DC. At GMA she led programs to modernize GRAS and manage emerging ingredient issues, including partially hydrogenated oils (PHOs) and trans fats. Prior to joining GMA, she was Head of External Engagement and Policy at Johnson & Johnson LifeScan. Emilia also served as Global Head of Regulatory Strategy at Novartis Consumer Health, leading emerging issue management and product stewardship. Before that at the Exxon Corporation, she held the position of Sr. Toxicologist, assessing and ensuring product safety, and authoring food additive petitions. Earlier in her career, as a board certified Medical Technologist at the Cleveland Clinic, she supervised the Immunogenetics and Histocompatibility Laboratory. Dr. Lonardo received her Bachelor of Science degree in Biology from State University New York, Master of Science degrees in Immunology & Toxicology from Colorado State College, holds a Ph.D. from LaSalle University and a law degree. Caryn Hartglass: Hey everybody! I’m Caryn Hartglass. You’re listening to It’s All About Food! Thank you. Thank you for being here, thank you for listening, thank you for caring. I really love feeling the energy of this community that cares about healthy, nutritious food. We all want it, don’t we? Even those people that don’t even know they want it, they want it because it makes us feel good, it makes us feel energized. Why shouldn’t we have a long life—a long quality life? Quality. Key word. There are a lot of people here that are living longer lives, but they’re not really quality lives. That’s part of what we talk about here on It’s All About Food. Feeling good. It’s important. Life should be experienced in the best way it can. With joy, without aches and pains, lots of energy, and we do that by eating wonderful food that’s delicious and nutritious. Okay, so about a month ago we talked about the new FDA ban on trans fats. That’s in the works. When I spoke about it, I got an email from someone that we will be talking to in just a moment. Emilia Lonardo. She is a principal consultant with Lonardo StatReg Associates, advising and lecturing on ingredient safety and FDA regulatory requirements. She brings over thirty years of professional experience. From 2012 to 2015, Dr. Lonardo served as Vice President of Consumer Product Safety and Science Policy at the Grocery Manufacturers Association (GMA). At the GMA she led programs to modernize the generally recognized as safe (GRAS) problem and managed emerging ingredient issues, including partially hydrogenated oils (PHOs) and trans fats. We’re going to learn more about that right now. Welcome to It’s All About Food, Emilia. Emilia Lonardo: Thank you very much! I’m very pleased to be here. Caryn: Yeah, thank you. And thank you for contacting me and wanting to give us, perhaps, a little more clarity. Emilia: Yes. I’d like to speak to you about hydrogenated oils. There are two types. Hydrogenated oils contain trans fats. Trans fats are formed from vegetable oils through partial hydrogenation, and they are also naturally occurring. Caryn: They are naturally occurring? Emilia: Yes. They’re from ruminant animals, such as cows. You can find trans fats naturally occurring in beef, dairy products, and cheese. I’ll discuss both, and I’d like to begin with the industrial-produced trans fats first. As everyone knows, November 8th of 2013, FDA published their tentative determination that partially hydrogenated oils, or otherwise known as I’ll refer to PHOs, are no longer considered generally recognized as safe, or GRAS. And on June 16th of this year, FDA finalized this termination and has given industry until June of 2018 to transition out of PHOs. They have also indicated that industry has the opportunity to file a food additive petition, where FDA will review the information and make a determination what uses and use levels will be considered safe and can be used in food. So what are PHOs? They’re produced from a number of sources, such as soybean, cottonseed, coconut, canola, palm, palm kernel, sunflower, blends of these oils. They have a really very nice shelf stability, and they can be subjected to very high temperatures, especially for commercial frying temperatures, and they don’t break down very easily. They improve flavor profile and the texture of many products. You can control the partial hydrogenation process, which produces the trans fats. So you could either dial it up to have a great deal of trans fats, and that produces the hardness, the hard oils in shortenings. Or it can be low levels, where you’ll see that in a lot of the oils. Emilia: What I’d like to do is to discuss the history of why are PHOs in our food to begin with? It was used in the U.S. for a very long time. It’s been in the food supply for over seventy years. It was developed in the 1930s, and they were originally used to replace saturated fats, such as butter and lard. During World War II, the U.S. government really pushed the use of partially hydrogenated oils because they were stable, especially for rations for the military, and animal products were scarce. So PHOs started to become rather introduced into the food supply. Caryn: Everybody had a container of Crisco in their cabinets. Emilia: Yes, that’s true. That’s very true. And fried foods wow, so everybody used them. In fact, in 1959, Eleanor Roosevelt made a commercial for a margarine company advocating the use of margarine over butter ‘cause it was believed to be healthier. And you can find— If the readers are interested, you can actually find that commercial on YouTube. It exists today. Caryn: All right, I’ll look for that and link it to this interview. That sounds like fun. Emilia: It was also determined to be generally recognized as safe by a committee that was commissioned by the FDA. It was called the Select Committee on GRAS Substances, or SCOGS. And they confirmed the GRAS status of soybean in approximately 1976. And then, PHOs increased in the 1980s to replace tropical oils because PHOs were considered safer and better for you because they were lower in saturated fats. Even the Center for Science in the Public Interest, also known as CSPI, advocated for the use of PHOs over that of saturated fats. And as such, PHOs just became ubiquitous. They were used everywhere. As the use of PHOs increased, data started coming in suggesting that maybe it’s not as wonderful as we thought it was. Maybe it’s not better than saturated fats. By the late 1990s, data did confirm that high levels of trans fats were associated with increased levels of LDLs, which is the bad cholesterol, and decreased levels of HDL, which is the good cholesterol. In 1999, FDA began to investigate these cardiovascular events and in 2003, they published a draft ruling regarding trans fats. They finalized that rule in 2006, and that required manufacturers to label products containing more than 0.5 grams per serving of trans fats. So if it’s half a gram, it needed to be on the label. If it wasn’t on the front panel, where you’ll see trans fat amount, if it was under 0.5 grams you would see it in the ingredient listing, and that’s the way it is today. I strongly recommend everyone to read your labels. Caryn: Yeah, well I want to interject here one of the important reasons why you want to do that if you want to avoid trans fats. If you see partially hydrogenated oil in the ingredient list, you know it’s there even though in the nutrient label it says it’s not there. And so if you have a serving that’s more than the recommended serving size, you’re going to get more than half a gram. Emilia: That’s correct. That was the concern that the FDA expressed. In 2004 and again in 2009, FDA received two citizen petitions. One from the Center for Science in the Public Interest and another from Dr. Fred Kummerow, who’s now a centenarian. He’s a professor from the University of Illinois, and they asked the FDA to remove the GRAS status of industrial-produced PHOs, which contain the trans fats. In 2013, Dr. Kummerow decided to sue the FDA because he believed that FDA had an unreasonable delay for not responding to the petition. And he’s asked the court to compel a ban on PHOs. That was the impetus for FDA to issue their tentative determination, and it’s because they say there’s no longer a consensus among the experts that PHOs are generally recognized in human food based upon the current scientific data. Caryn: There is not a consensus, or there is a consensus? Emilia: No, there’s not a consensus that PHOs are safe. Some scientists say yes, at certain levels, and some scientists say no. To have the GRAS specification, you must not have a severe conflict among the experts. You don’t need to have total consensus, but you really cannot move forward with GRAS if there’s a severe conflict, and the FDA believes there is a severe conflict. Therefore, the GRAS specification doesn’t exist. But, they have the door open for a food additive petition. In order for a food additive petition to be approved, it actually shifts the onus to the industry to submit scientific evidence as part of the food additive petition establishing uses and levels for which a reasonable certainty of no harm will result from the uses and the levels of PHOs. Now, food additive petition would focus on very low, incidental uses. Low levels such as emulsifiers, pan release agents, color and flavor carriers. It’s going to take FDA about two years to review, and the decision is FDA’s. The petition will be public, so if there’s interested parties who want to review the petition and the data, and they want to make comment, they are free to do so. The FDA will put it up on their website. It’s available through freedom of information. What I wanted to talk about, also, is the decrease in PHOs in the food supply. In 2000, there was eight billion pounds of PHOs sold to manufacturers in the United States. Today that number is slightly above one billion pounds, and it continues to decrease. It’s difficult to reformulate some products because replacement oils are not always necessarily available, or they don’t provide the characteristics that the product requires for a consumer to be happy with. For example, there was one company who reformulated a biscuit. They reformulated relatively quickly; it took them about three years to do so. No one would buy the product because they didn’t like the way it tasted, or the sensation of the product turned out to be more like a hockey puck. When they spent the time, it took them a little greater than five years to replace it with suitable oils that provided the textures that consumers want, it’s still on the market today. Everything is fine. Caryn: So it just took a little time to formulate the product to make it better without partially hydrogenated oils. Caryn: Each one of those ingredients has their own issues, political- and health-related issues. Palm oil, a lot of people are up in arms about the rainforests being destroyed because we’re using so much palm oil. And then those of us who care about animals are not going to support the use of lard or butter. Emilia: Absolutely. For someone who doesn’t eat animal products, there were products that I bought that I was very happy with because it contained vegetable oils. And now I no longer purchase them because they contain lard. It’s very, very important to read labels. Industry has done a good job in reducing the amount of PHOs in the food supply, and they’ve reduced the amount by 83% since 2003, and they continue to do so. The consumer, though, needs to take responsibility. They don’t want to eat PHOs? Read the labels very carefully. Caryn: Yeah. It is, to a large degree, up to us. Now I know that many of us like to paint government-related organizations and large manufacturing organizations as evil and as doing whatever they can to maximize profit. That may or may not be true. It may be true to some degree. But the thing here, when you’re talking about the history of this one particular ingredient, we can see that things take a long time. It took a long time to build up the use of this product, and now it’s going to take a while to wean off of the product. I would love to see the government work faster, but it’s got its own challenges, financial and political, to do so. So, do you eat partially hydrogenated oils now that you know what you know about them? Emilia: Well, I subscribe really to Dr. Esselstyn’s plant-based diet, and I try to avoid oils as much as possible. Caryn: Okay, well that’s a really good answer. Emilia: But again, it’s up to the person. People need to be responsible. It’s your program, Responsible Living, people need to be responsible and make the right choices for themselves. Caryn: Yeah, it’s really helpful when we’re knowledgeable about it, but when we’re talking about food in healthy school lunch program, and foods marketed to children, and foods marketed to people who aren’t focused on food and they’re just grabbing something because it’s there or it’s inexpensive or whatever, they need better oversight. Emilia: Yes. The levels of PHOs have significantly decreased, and they continue to decrease. One of the things that I wanted to call to the listeners’ attention is naturally occurring trans fats. This is something that’s been missed. I don’t think people understand that trans fats exist in animal products. Through the digestive process, ruminant animals produce trans fats. You find it in cheese, butter, dairy products, beef, goats. It’s estimated that people consume about 1.2 grams a day of these trans fats. Caryn: If they’re eating animal foods, right? Emilia: If they’re eating animal foods, yes. I’m talking about the USDA general database for the average consumer. Although there’s some data that says that it’s not as harmful as industrial-produced vegetable trans fats, as a toxicologist, I’m not convinced that there is a difference between naturally occurring trans fats in terms of risk versus the industrial-produced vegetable oil trans fats. It’s also very important to note that in the USDA database, there are non-ruminant animals that they say contain trans fats. And I’m like, how can this be? How can you find trans fats in chicken, pork, eggs, fish? And then after digging a little more, it’s actually because these mega farms feed these animals repurposed human food. It’s also found in animal feed. So at the end of the day, it doesn’t matter if you eat dairy, beef, or other kinds of animals. You’re still going to be exposed to trans fats. The only way to move forward without consuming trans fats is a whole foods vegan diet. Emilia: Even if you are vegan, you need to be careful. If you do buy processed foods, read the labels because it may contain partially hydrogenated oils. The information’s not hidden; it’s there on the label. Just read the labels. Caryn: Now, this is just one ingredient. One ingredient, partially hydrogenated oil, one ingredient. But my understanding is there are over nine thousand known additive ingredients that we are assuming are safe. Emilia: If you’re talking about the generally recognized as safe, the Pew Charitable Trusts and NRDC (Natural Resources Defense Council) did come up with that number. I’ve never seen that number or the data behind the development of that number. I think it’s a little inflated. Caryn: I think the FDA’s biggest challenge is funding, from what I understand. When you say modernization, are you talking about the Food Safety Modernization Act? Emilia: Oh no, no. I’m referring to modernization of the generally recognized as safe procedure. This has been a voluntary industry effort. It was led by GMA, but it is an industry effort working with a number of NGOs as well as bringing FDA into the fold. They’re developing a public standard that will be very transparent and visible during the process to ensure that everyone conducts the generally recognized as safe criteria in the same consistent manner, and it’s done with very high quality. Seated on this committee are thirty-two scientists from across the sectors, including NGOs. The Humane Society sits on it. There’s the former NRDC person who sits on there. There’s CSPI also sits on there. There are some industry members, there’s some government involved as well. It’s broad-spectrum, it’s going to be very public, and it’s going to develop a standard, a process specification, on how GRAS reviews should be conducted. They’re also developing a database for the self-determining ingredients to be placed into this database so it brings more visibility. I believe that if they do a better job in grassroots movements to educate the consumer what they’re doing and taking the time to listen—I think it’s essential that people in industry listen to what the consumer wants. You can’t guess, because you won’t give the consumer what they want. They’re not going to buy it. You really need to hear what the consumer concerns are and address those concerns. Caryn: Well I think what we can do is what you mentioned before. Since there are many other ingredients that are allowed in the food system and they may be generally recognized as safe, we don’t know if they’re going to go down the same path as partially hydrogenated oils as we learn more about them, the best way to avoid as many of them as we can is to eat a whole-food, plant-based diet and stay away from anything in a box, like Jack LaLanne recommended. “If man made it, don’t eat it!” Now what’s curious to me, Emilia, is that you’ve been involved in ingredient safety and government regulation for a long time, and you’re a vegan? Emilia: Yes, I try to follow the vegan pathway as much as possible while I’m on the road. Many times inadvertently I become a vegetarian. I try to follow the vegan… My family… Well, I should say my husband eats vegan with me during the week. When he’s not with me, I don’t know if he eats the same diet. But when I’m cooking, we clearly eat vegan at home. I love vegetables. Caryn: When did this get started for you? How long have you been doing this, and how did you turn on to this way of eating? Emilia: Well, I started maybe about twenty-five years ago when I was working at the… More than that, it was over thirty years ago, when I was working at the Cleveland Clinic. My sister married into the Crile family, and so did Dr. Esselstyn. And he talked about don’t eat anything with a face and have compassion for animals. I really stopped eating red meat, but I continued to eat chicken until I passed a vehicle one day that had cages and cages of chicken. When I saw this, I could no longer eat poultry. I stopped eating meat. It’s not only for health reasons, but primarily for compassion. I am very committed to treating animals with respect and the welfare of animals. I am involved in animal rescue and I can’t eat them. They’re here, God put them here just like he put us, and I just want to share the Earth with them. Caryn: Well, it’s very exciting to hear that someone who has been involved with all kinds of federal regulations and food safety is actually on the path that you are on, and I’m wondering in the decades that you’ve been eating this way what the reaction has been to you. Do they even know about it? When you’ve served on different committees and you’ve been with the Grocery Manufacturers Association, how did they respond to your food choices? Emilia: Well, I’ve not had any problem. They all know my dietary habits. There was always a meal of my choosing available for me. Emilia: Again, this is America, land of the free. People have free choice. They choose to eat their way, I choose to eat my way, and hopefully one day they’ll see that my way is the best way. Caryn: I hope so too. Well let’s end on that nice thought, shall we? Emilia: Well thank you very much. It’s been a pleasure to be on your program. Caryn: Thank you, Emilia. Thanks for sending me your very kind messages and your notes. I’m glad you’re out there doing what you’re doing. Emilia: Thank you, I’m glad you’re out there doing what you’re doing too. Caryn: Bye-bye. That was Dr. Emilia Lonardo, and I think that was a very interesting conversation. So it’s not black and white, it’s not good and bad. There’s a lot of gray in the middle, and the best way we can navigate our food system is to concentrate on whole-food, plant-based, and organic. While you digest that thought, we’ll take a little break.